I am finally updating the revenue history. This was announced last month. The official number was 1.39 billion dollars for total Citrix revenue in 2007. This chart is based on a logarithmic scale and that is why it does not look that impressive between 1.134 billion and 1.39 billion. The next major milestone on the chart is 10 billion. 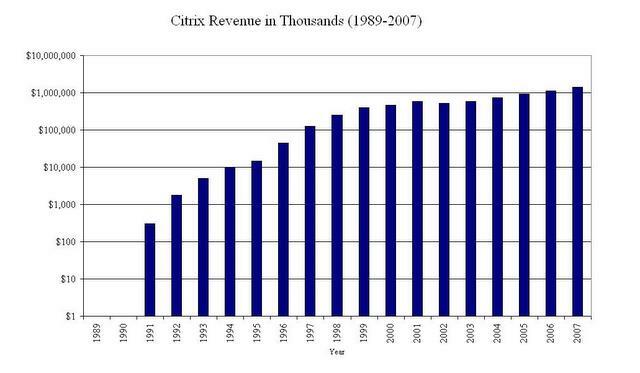 It’s impressive how well Citrix has grown, even when facing adversity over the years. Here’s to many more.